Yes! 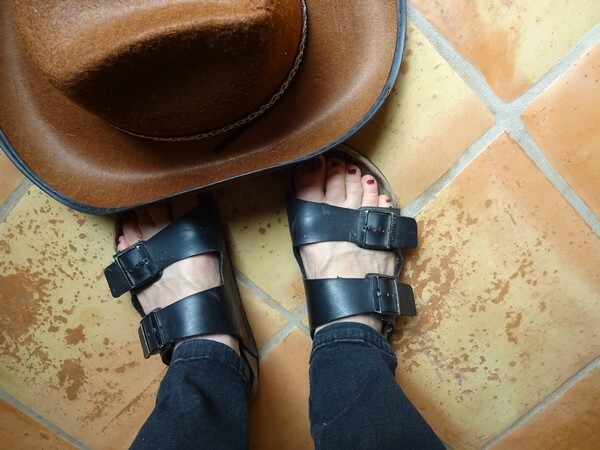 But — forgive the question — for a cowboy, are those your dress-up or your everyday Birks? Ah. Of course. I didn’t know line dancing was included in the evening. Mais oui! Square dancing too. This is why I wanted to stay home.